When it comes to adding something entirely new to your bedroom, Clifford Queen Bed with Headboard & Box Storage is a good choice. With many choices out there, there is nothing better than a queen-sized bed for you and your room. With great aesthetics, this bed will add a modern touch to your room. The black colour of the bed only adds to the beauty of the furniture. This bed is a touch of modern style with a brilliant modern colour that will light up your room. 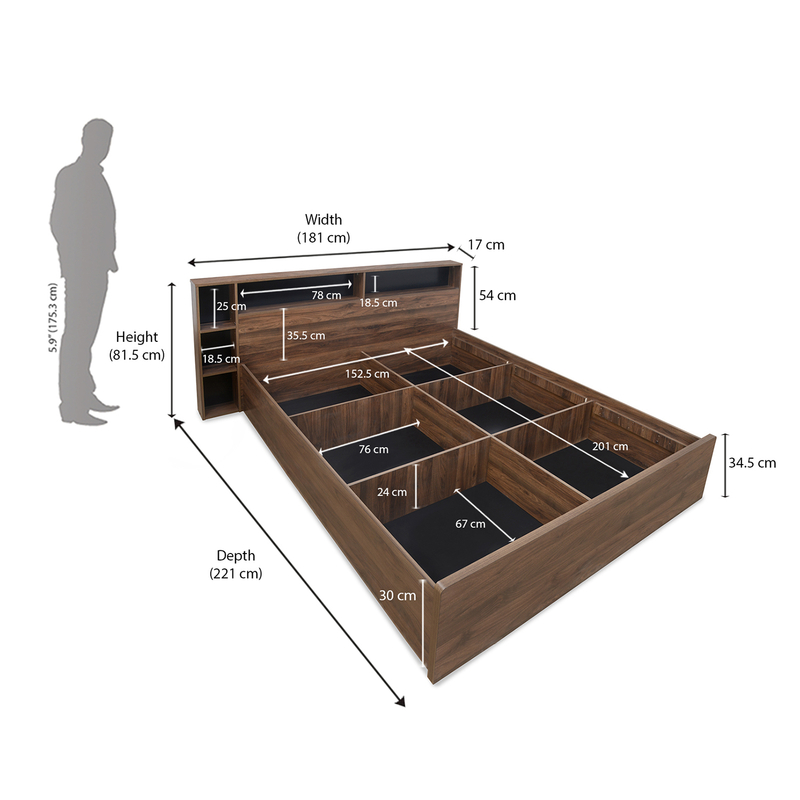 This bed comes with a storage unit with the headboard and has a storage compartment below. The storage units add to the utility of the bed and make this bed a good choice for many users. If you intend to add the latest fashion to your bedroom or to your house with a Nilkamal quality and value for money, then Clifford Queen Bed with Headboard & Box Storage is the choice for you. Get this queen-sized modern bed from @home only and get a free installation service for the bed! @home offers you the best deals for all kinds of furniture, and this bed is no different. Find the bed at its best price only @home.